Provide comfort for the family of Gerald Cansler with a meaningful gesture of sympathy. 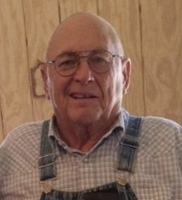 David Cansler, 75, passed away on Saturday, March 30, 2019. Memorial Service: 10 am Saturday at Grace Baptist Church, 301 Hughes Ln. Grandview, Texas 76050. In lieu of flowers donations may be made to the Youth Group of the Grace Baptist Church. Survivors: Wife, Keta “Skeeter” Cansler; daughter, Stacy Cansler Hammonds and husband, Chuck; step-son, James Watson; sister, JoAnn Risher; Nine Grandkids; Eight great-grandkids along with numerous nieces, nephews, family and friends. To send flowers in memory of Gerald David Cansler, please visit our Heartfelt Sympathies Store.